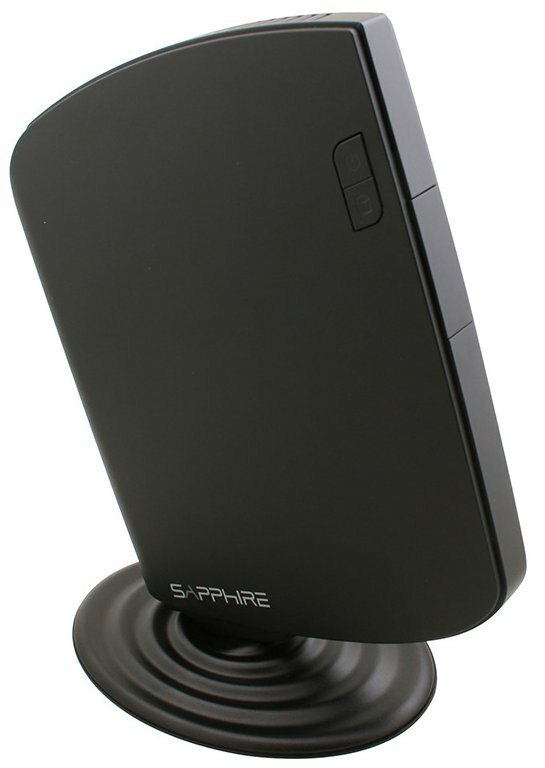 Sapphire announced the EDGE-HD2, a new mini PC with Intel's Atom D525 (1.8GHz) and NVIDIA ION2 graphics. Building on the success of its first Mini PC, hailed as the smallest PC in the world, SAPPHIRE Technology – the world leading manufacturer and supplier of PC graphics cards and mainboards has just introduced a new model – the SAPPHIRE EDGE-HD2. The SAPPHIRE EDGE-HD2 shares the same slim, stylish outline as the earlier model but delivers slightly higher performance and is now also available with a pre-loaded operating system. At less than half a litre in volume, it is slimmer and smaller than most wireless access points – in fact around the size of a paperback book! Its stylish design and simple pedestal mount make it equally at home next to a TV or business monitor whilst occupying the minimum of desk or shelf space. The SAPPHIRE Mini PC family is a top scorer in power efficiency. Consuming less than 30W even under load, the members of the SAPPHIRE Mini PC family use around 10 times less power than a typical desktop PC – and less than most notebooks – making it one of the Greenest PC solutions available. Power and space savings alone can justify switching to the Mini PC for many businesses.